Salted Caramel is soo delicious! It hits all the flavor notes… To kick it up another notch, I used Habanero Salt! Sweet, Spicy & Salty! Sooooo good!!!! Habanero Salt is wonderful on just about anything from popcorn to shrimp. It adds a little bit of a punch to the tongue. Perfect for the individual that likes their food a little spicier than the rest of the family. And to boot, it is GORGEOUS! 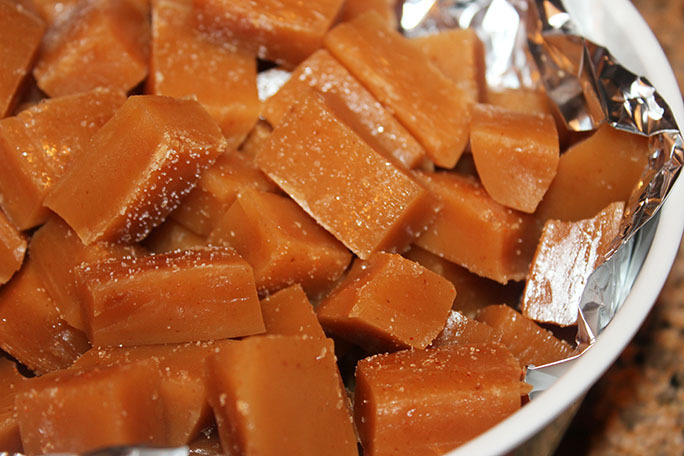 When you make this confection, let the caramel cool complete and harden slightly so that the surface is just a bit sticky. You want the salt to remain in pieces and to be crunchy not melt. Great for the holidays as family treat, and it makes a wonderful gift! I was recently challenged to come up with some simple recipes to help bring families back around the dinner table. As we will be sharing these ideas with a local food pantry, we want to keep the ingredients simple and those that you would most likely find in your own pantry, or those that are easy to obtain on a modest budget. Something that the Food Pantry has in abundance right now is fresh apples and Bisquick baking mix. This is a delicious, quick and simple dessert that the kiddos would have a blast to help make. 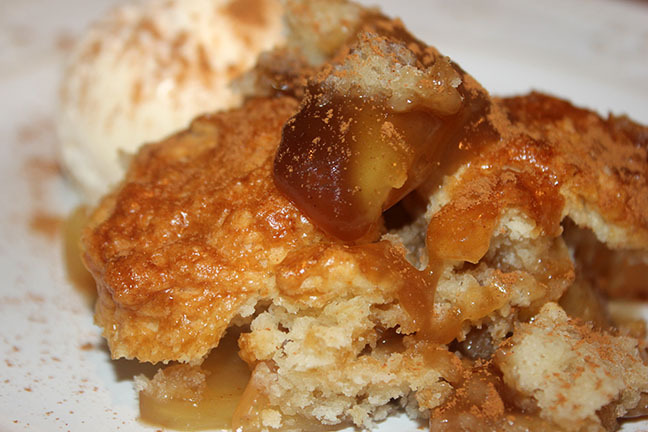 I used New Hudson Apple Pie Spice mix for this recipe. This is hand blended with Korintje cinnamon, allspice, nutmeg, ginger root and cardamom. Sooo yummy! Great in your coffee too! What can be better than an almost guilt free dessert! 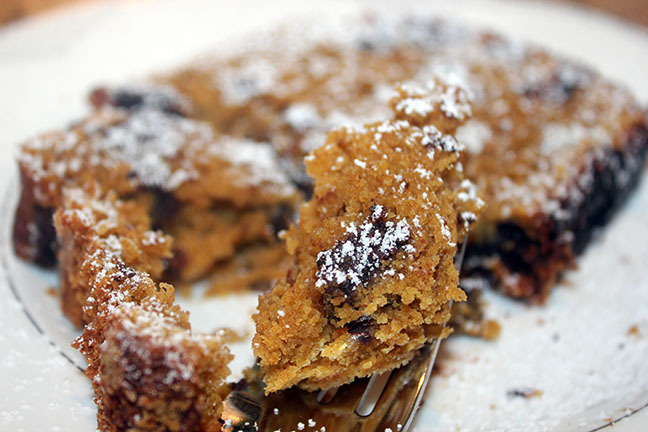 This is a sugar free and flourless cake that takes literally only minutes to make. It is spongy, light and airy, almost like a soufflé! To keep it totally sugar free skip the powdered sugar. You can top it with fresh berries, whipped cream or ice cream. Or enjoy just as is! I used Saigon Cinnamon to enhance the flavor and it is amazing. This cinnamon has the highest natural oil content, almost 5%, giving this a magnificent flavor and aroma. 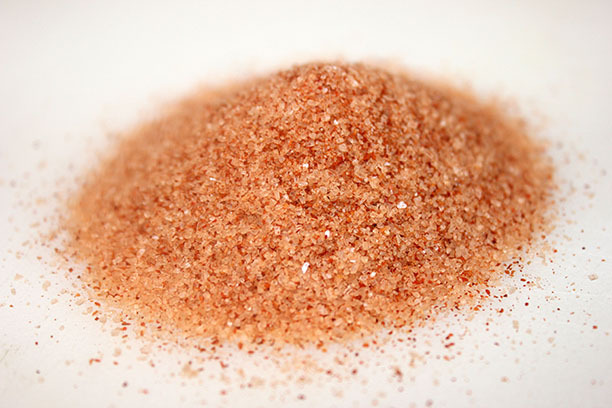 You can use cinnamon in sweet and savory dishes, and it it good for you too! How did we get so close to bathing suit season? 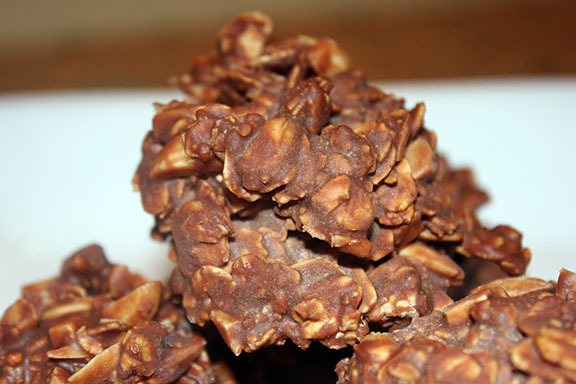 I love chocolate and came across a no bake cookie in an old cookbook and decided to try make these treats a little less un-healthy! I have always heard that Coconut Oil is good for you, but a little bit goes a long way. This recipe is truly easy, and so quick to make. Something yummy to munch on, that you don't have to feel guilty about! I also added Orange Zest to the mix which adds a really deep and rich orange flavor plus vitamin C which adds to all the other goodness. These are best when kept in the freezer. This does not make them too hard, just gives them a really nice bite! I have discovered how wonderful it is to work with whole vanilla beans. The flavor that it creates is almost beyond words! The vanilla beans are full of thousands of little black seeds just exploding with flavor. These little seeds infuse and intense vanilla flavor that is absolutely fantastic. You need to use really good quality vanilla beans that are fresh. Milford Spice Company uses Bourbon Vanilla Beans that are out of this world! 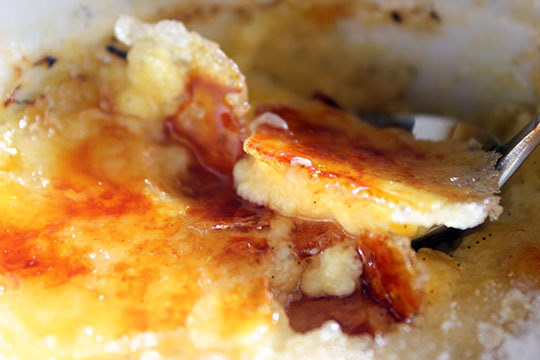 This Creme Brûlée is bursting with vanilla flavor and is sure to become a new favorite! Great cup of coffee pairs well with this dessert. To see recipe click on recipe title! 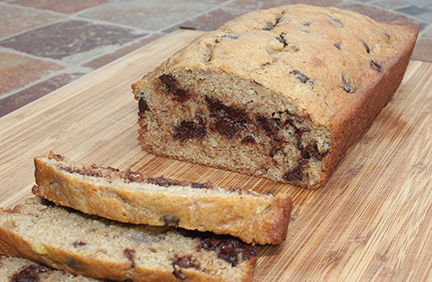 Click here to see printable version of this recipe! One of my favorite things about Fall is enjoying the abundance of harvests. Apples are at their best this time of year. This recipe is really easy to make and quick to cook. MSC New Hudson Apple Pie Spice is a wonderful blend of Korintje Cinnamon, Allspice, Nutmeg, Ginger Root and Cardamom. 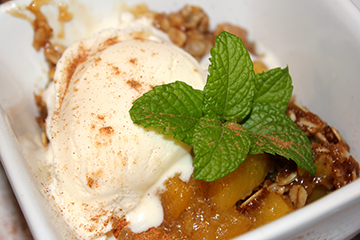 My family absolutely loves the flavors this spice blend brings to all our apple desserts! I will also be posting pear and plumb desserts using this blend! It is so versatile! You can use any type of apple you like. I recommend firm over soft apples. You can also choose to peel your apples or not. We like the flavor of the apple peel. 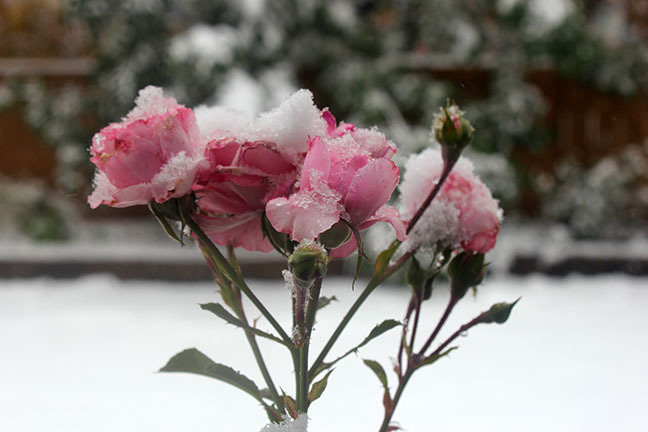 We served our blossoms with a scoop of vanilla ice cream. A tasty treat any day of the week! 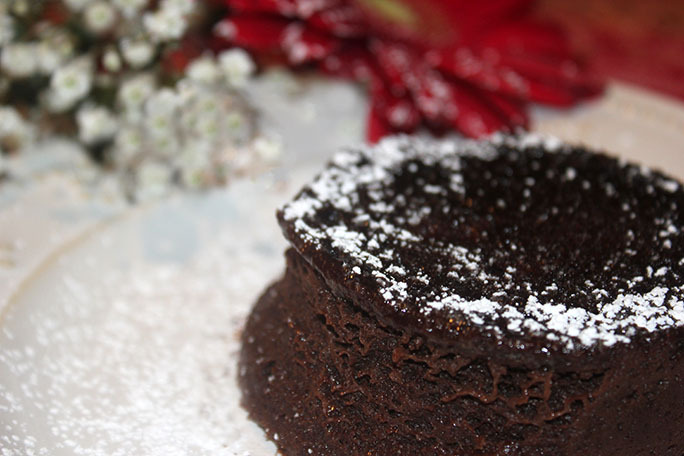 We enjoyed a cup of Mexican Coffee with this dessert! 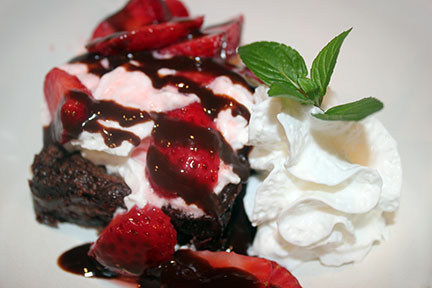 This scrumptious dessert could not be any simpler! My family loves dessert, who doesn’t! I simply added some of the Mark’s Espresso Rub to my favorite boxed brownie mix. The coffee brings out the chocolate and they complement each other so well! I served it with whipped cream and strawberries! Yummy! Quick and easy on a hot summer night! Posted by Wine & Spice on 6/3/2015 to Grilling Fun! It is always fun to try new things! 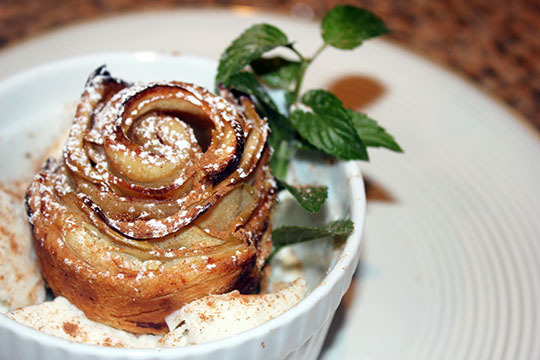 We were having some guests for dinner and I wanted a quick and easy, yet fabulous, dessert. 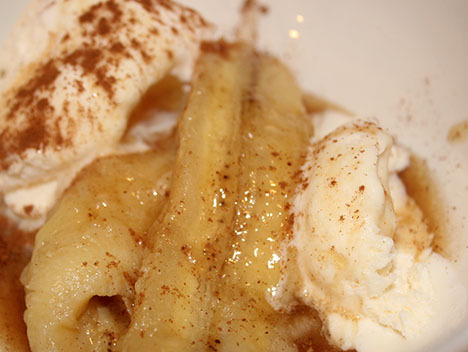 The Grilled Bananas Foster could not be easier to make and is truly scrumptious! 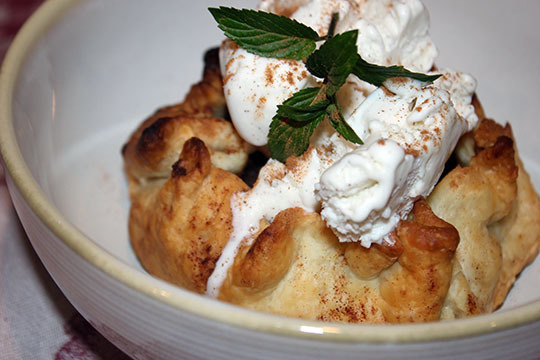 Saigon Cinnamon is so special and it really shines in this dessert. 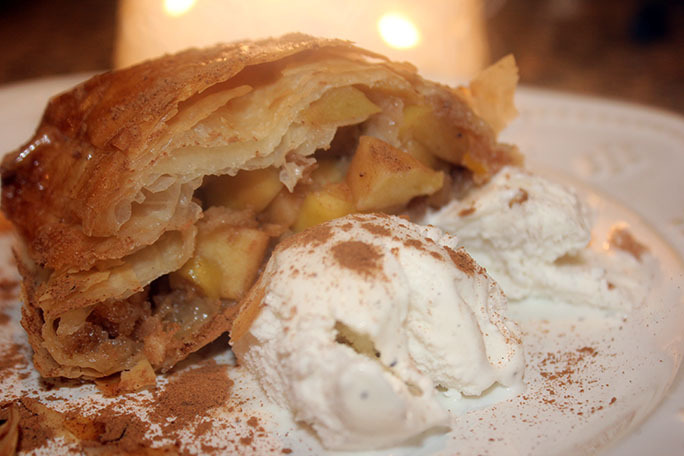 If you are making this for children, on it the rum and add apple cider instead. More rum to use for adults! Click on recipe to see recipe title! I have come to the realization that MiMom's Pumpkin Pie Spice is the most universal holiday baking spice ever! This year I find myself using it in all my baked goods and am receiving compliments galore! 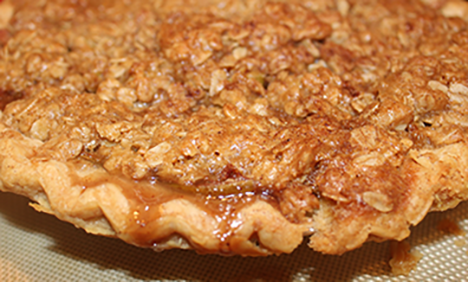 The crumble on this pie adds so much flavor and texture! 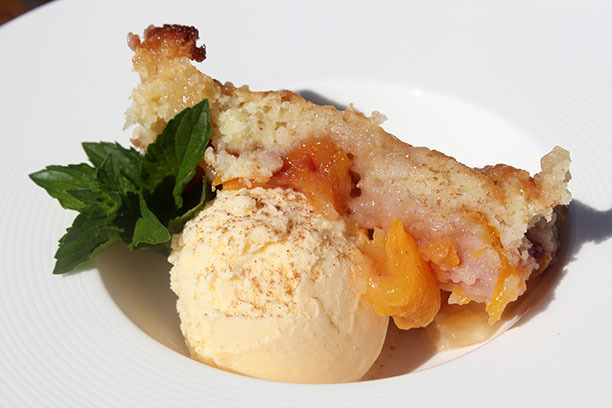 Top with vanilla ice cream for an extra creamy delight. 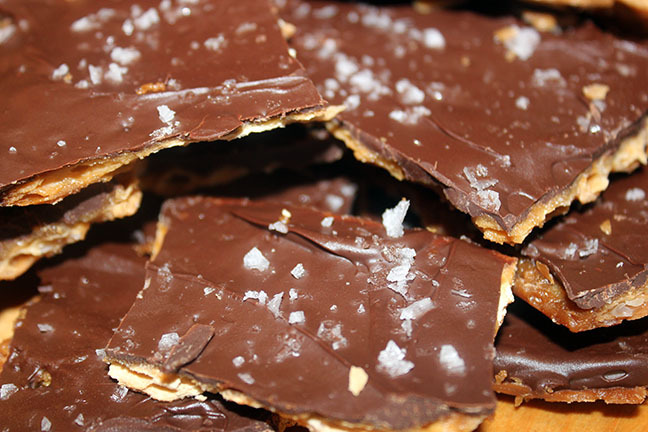 An Irish Coffee pairs wonderfully with this confection! To me and my family, Swedish Cinnamon Rolls mean it Christmas! These yeasty rolls are flavored with exquisite Cardamom, and MiMoms Pumpkin Spice. The flavor is amazing in these rolls. 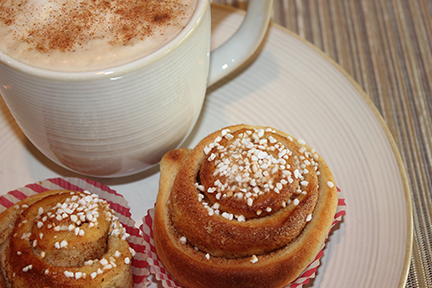 Enjoy them with your morning coffee or as the Swedes do, with your afternoon coffee (Fika). God Jul! These cookies are perfect for holiday get togethers. They are very simple to make. I have a broken wrist that I had surgery on two days ago, and I made these with one arm. 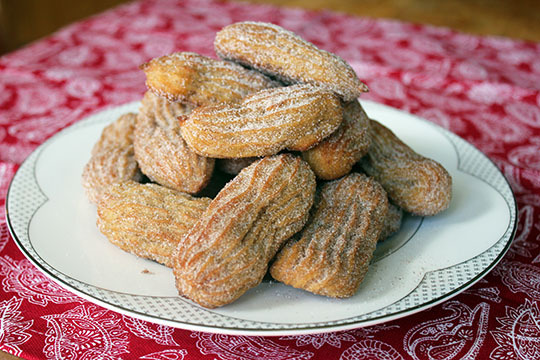 There is something about cardamom for me that really brings to mind special occasions. 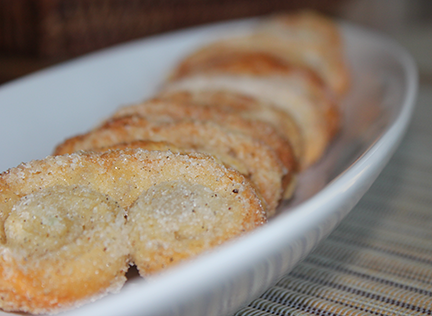 These cookies are crunchy, chewy, sweet and salty! Wine and Spice Make Everything Nice! 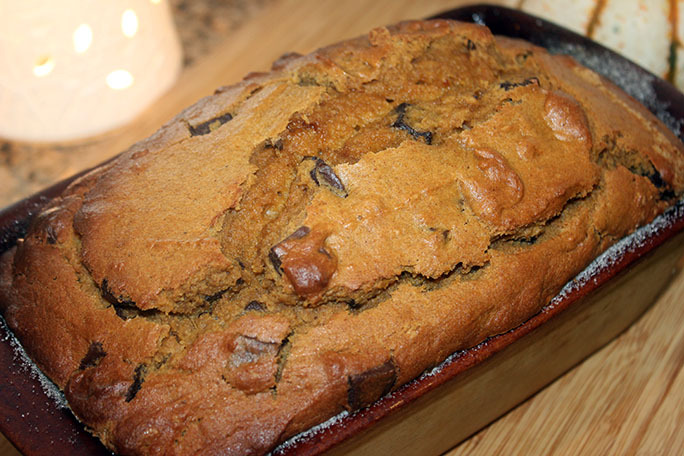 This delicious banana bread makes the whole house smell like the holidays are right around the corner! The MiMoms Pumpkin Spice is divine! Make sure you make a double batch as it bound to be inhaled as soon as it is cool enough to eat! In honor of Halloween, we dug up a little research on traditional Halloween festivities and fare. In the days surrounding October 31st, many cultures developed days of recognition. All Saints Day, Day of the Dead, All Hallows' Eve, All Souls' Day, Samhain, Snap Apple Night, etc... Some are pagan celebrations, others are closely tied to religion. Many of these traditions have influenced what the US now recognizes as Halloween. One interesting tradition was making Soul Cake to offer to the spirits. In some cultures, people believed that these cakes would nourish the souls of those on their way to the otherworld. Others believed if they did not offer food to the dead that they would impart evil onto the living. Whatever the reason, today we can enjoy Soul Cakes for what they are for sure - delicious.